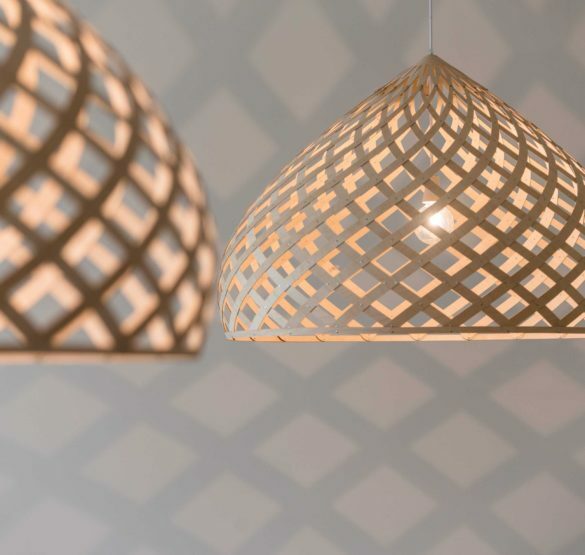 The ethereal ZOME consists of identical fluid vermiforms - a sequence of dots that create a beautiful atmospheric lighting piece when assembled. 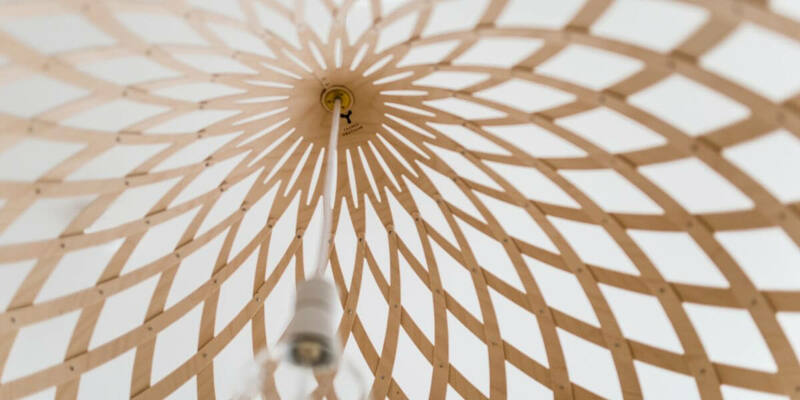 ZOME is a self-constructing bionic structure – the more rhombus there are in the first row, the more flowing and ductile the shape will be. 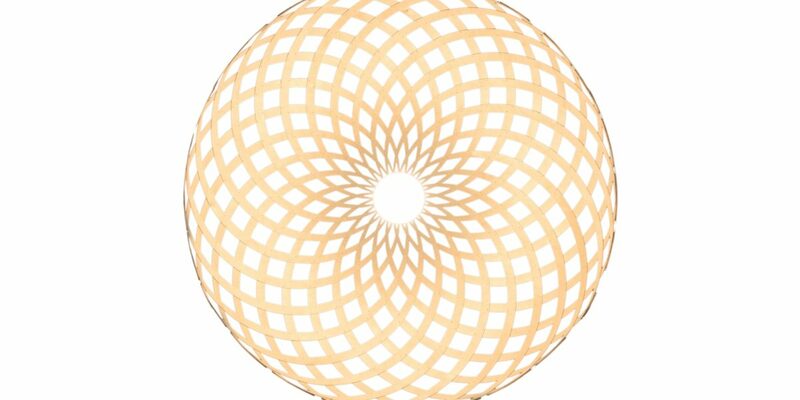 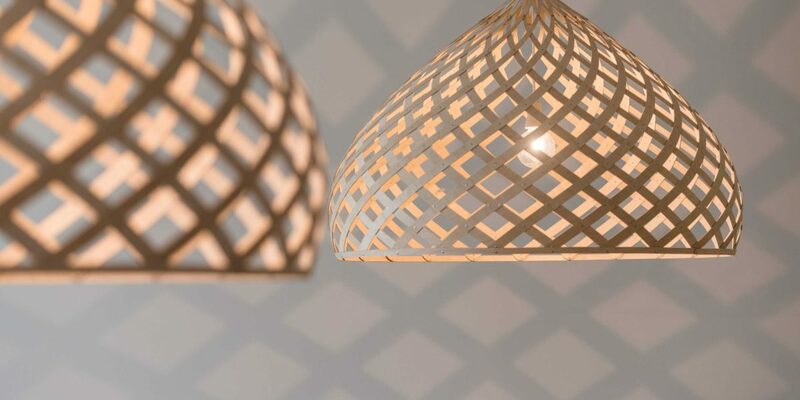 The 72 Golden ratio rhombus that form the basis of the lattice for the lamp determine the flow and plasticity of the shape. 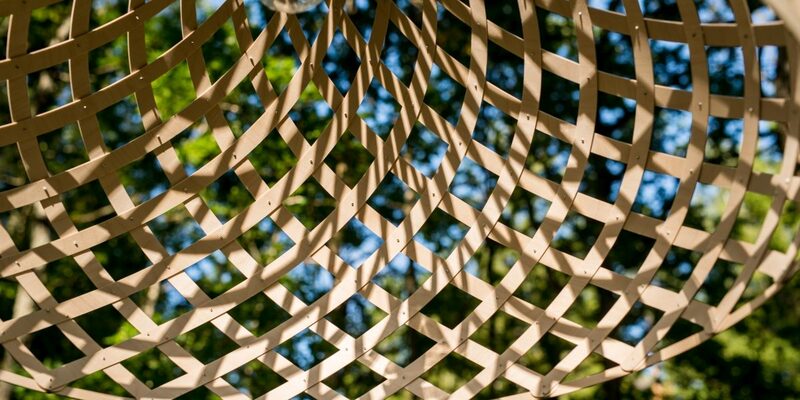 Many sacral buildings have a similar bionic structure. 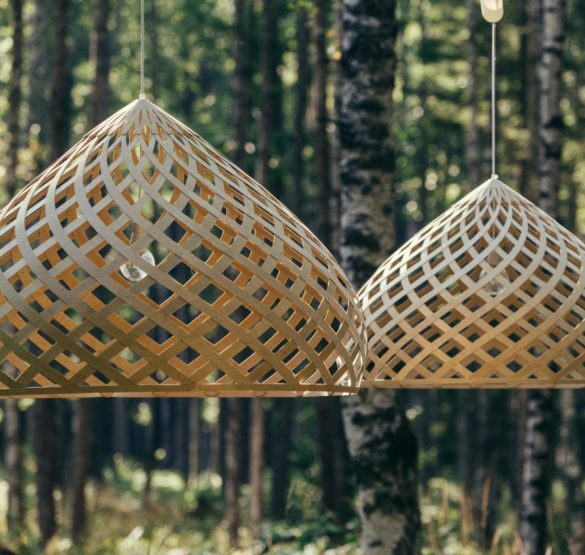 H – 650 mm, Ø - 960 mm, weight - 2 kg Material - 1.5 mm birch plywood, metal pins. 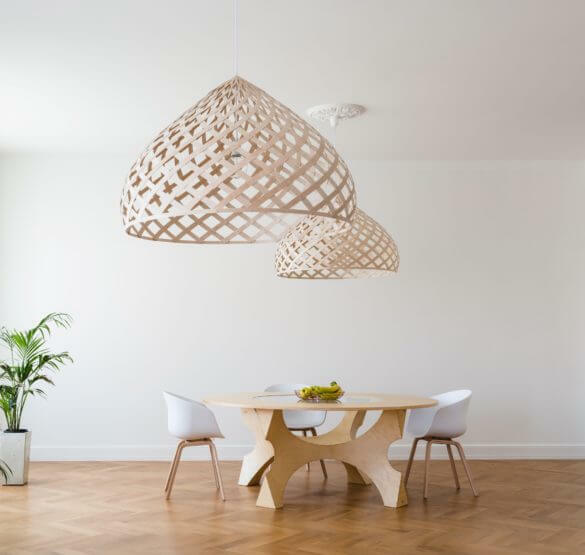 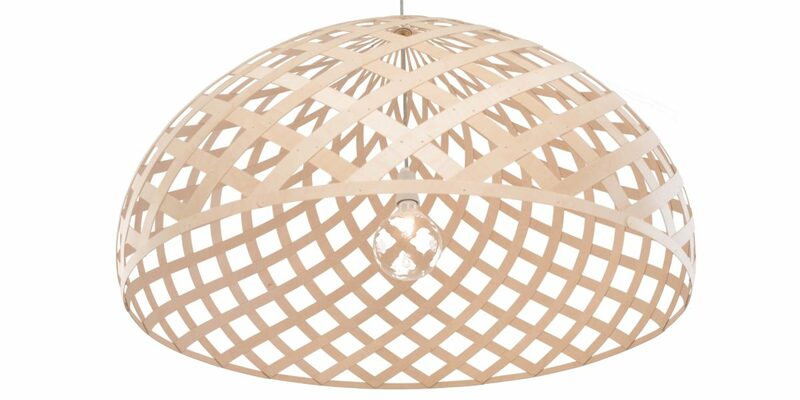 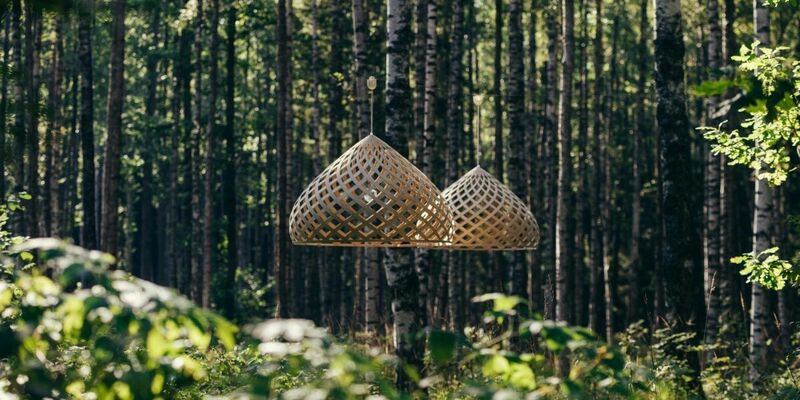 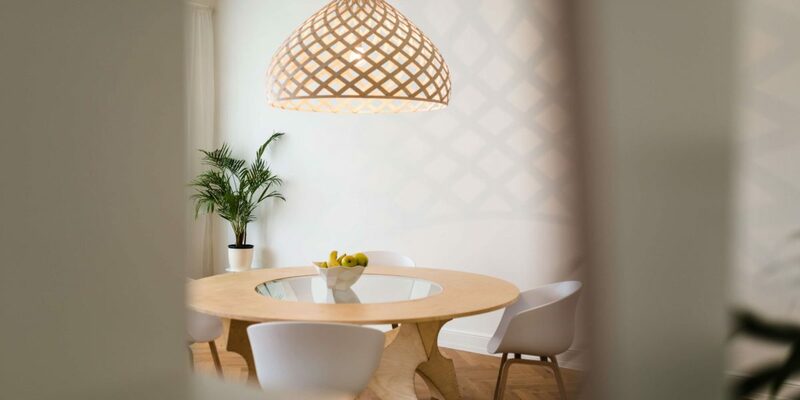 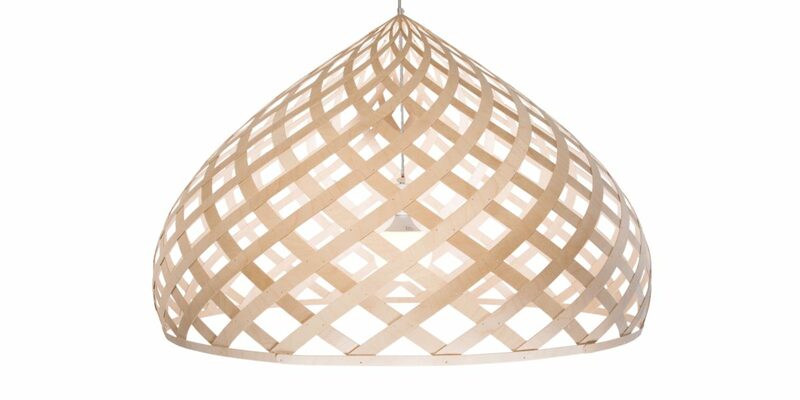 E27, max 70 WT, bulb included, white textile cable 1,5 m.
The lamp made of thin aircraft plywood seems fragile but its structure ensures a strong shape. 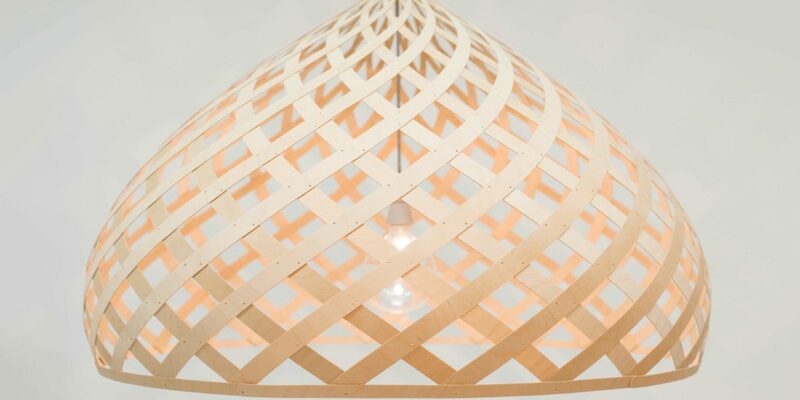 The plywood serpents are connected by aluminium rivets. 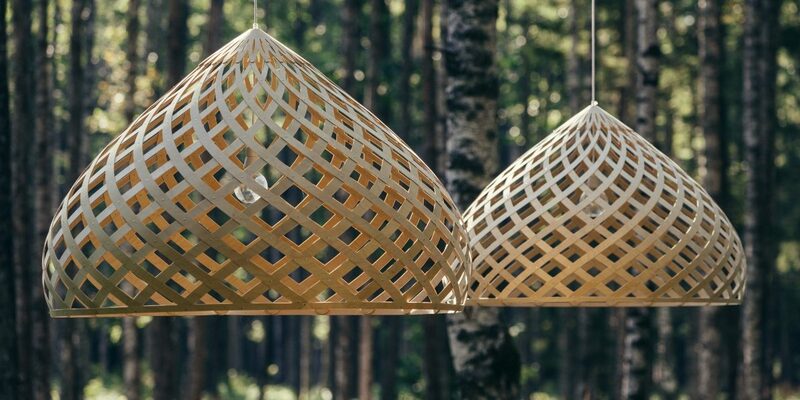 Similar to the shelf DUNE the lamp is constructed very sustainably – the elements can be cut next to each other without any waste. 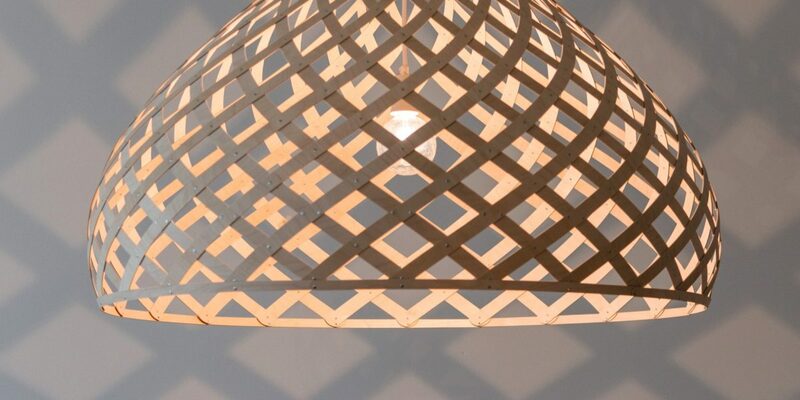 The lamp comes assembled, put together by hand in our workshop.